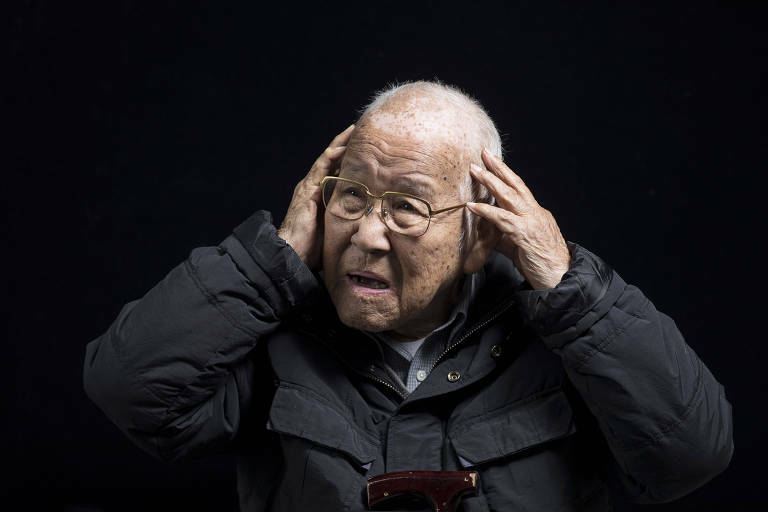 Kunihiko Bonkohara, 78, Seiji Mukai, 83, and Takashi Morita, 94 are part of a group of 84 Brazil-based hibakushas, as the survivors from the Hiroshima and Nagasaki are known. And, because of the possible health issues caused by radiation, they need constant medical monitoring, at the expense by the Japanese government. The two bombs caused Japan's rendition, on August 15, 1945, and the end of the Pacific War. The atomic bombs' radiation can have long-term health effects, especially to people who were closer to the explosion sites. "In general, they have more cancer, like lymphoma and leukemia, cataracts (for having stared directly at the explosion) and thyroid problems," says Hideki Taniguchi, deputy director of the Genbaku Hospital from the Japanese Red Cross, in Nagasaki. The hospital was founded in 1958, especially for the atomic bombs victims in Japan. Today, 23% of its patients are hibakushas. At the Hiroshima hospital for bomb survivors, 63% of hibakusha deaths are associated with cancer. In the Nagasaki hospital, the rate is 56%. The doctor himself has a direct association with the bombings. Taniguchi's father is a hibakusha, which brought about his interest on the subject. HIbakushas in Japan and spread all over the world, like the ones in Brazil, have annual check-ups to verify if they are developing any diseased caused by the bombs' radiation. In São Paulo, the check-ups are made in a local hospital that partners with the Japanese government.